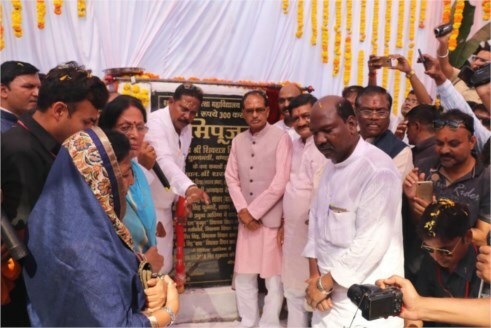 Chief Minister Shivraj Singh Chouhan during a State-Level Beneficiaries Griha Pravesh programme informed that every day 3 thousand houses are being constructed in the state for the houseless poor and needy people under the Pradhan Mantri Awas Yojana. Construction of over 10 lakh houses has been completed till now. Beneficiaries of Pradhan Mantri Awas Yojana (Gramin) performed griha pravesh in Sheopur, Shahdol, Sidhi, Dhar and Seoni districts under the directions of CM Shivraj Singh Chouhan. The Chief Minister interacted with the beneficiaries of the Pradhan Mantri Awas Yojana through video conferencing. 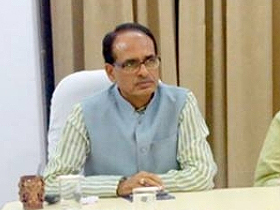 Chief Minister Shivraj Singh Chouhan said that he is happy to be able to help 1.50 beneficiaries of Pradhan Mantri Awas Yojana performing Griha Pravesh at the state level. A resolution to provide pucca houses to all poor families will be completed by the 75th anniversary of freedom i.e. 2022. On this occasion, CM Chouhan performed bhoomi poojan of medical college that has been built at the cost of Rs. 300 crores and other development works worth Rs. 72 crores in Seoni. He informed that the Seoni medical college will also have a 750-bed hospital. This medical college will produce 150 new doctors every year for the state. He said that earlier state used to get 600 doctors and now it will get 2600 doctors every year from these medical colleges. All necessary facilities will be made available here for the treatment of all serious illnesses. State will not face any shortage of doctors and availability of doctors will be ensured in villages too. Apprising in detail about the Sambal Yojana and schemes being implemented for agriculture development, CM Chouhan mentioned that farmers should not worry about the damage to their crops. The state government will compensate by conducting assessment of loss. He said that problems related to the payment of the crop insurance scheme will be solved by holding discussions with the concerned institutions. 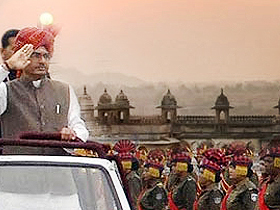 CM Chouhan further mentioned that wheat at the rate of Rs. 2100 per quintal, soybean at the rate of Rs. 3400 per quintal and maize at the rate of Rs. 1750 per quintal will be procured in the state in future. Similarly, an additional price will be given to the farmers for paddy.